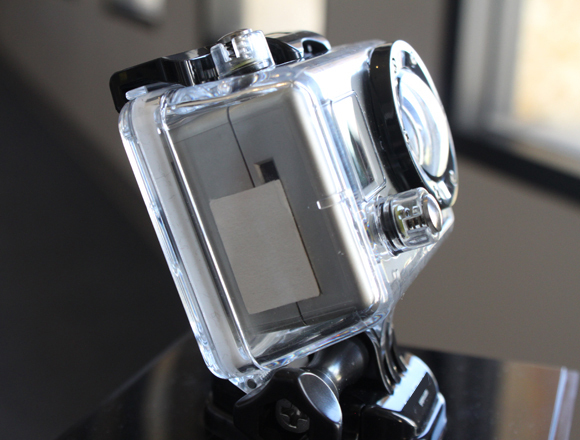 If you take your GoPro-type camera or other A/V equipment underwater or through humid conditions, you need IMPAK’s anti-fog camera kit. Just walking from an air-conditioned hotel to the beach will cause your lens to cloud. IMPAK’s anti-fog kit nips condensation in the bud. Each kit contains 24 silica gel and cellulose fiber anti-fog “inserts”to absorb the moisture that causes fogging. Better yet, IMPAK’s anti-fog strips can be used countless times. Just preheat your oven to 325 degrees, place strips in oven for 5-6 minutes, then put back in the included re-sealable bag. Our kit includes a 5 gram molecular sieve desiccant packet to offer protection against moisture to the inserts after the package is opened. Don’t return from your priceless travels with compromised pictures. • 5 gram Molecular Sieve desiccant packet, to offer protection against moisture exposure after the package has been opened. •Eliminates fogging inside the camera housing for clear, sharp images. •Made with high quality silica gel on cellulose fiber. 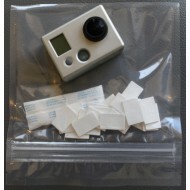 0.5" x 0.85" Anti-Fog Desiccant Paper Inserts for camera like GoPro (24/pack) Packaged inside of ..